Little Jungle Childcare Center offers the opportunity for each child to develop physically, socially and cognitively according to their individual learning style. Each child is considered unique in temperament and rate of development. Curriculum is planned to enhance and challenge particular, distinct individual needs, interests and abilities. Activities and relationships occur in a healthy, positive and relaxed environment in which well-qualified staff provide personal attention, guidance and nurturing to each child. Each classroom will have Mother Goose curriculum built into the program for no extra charge. 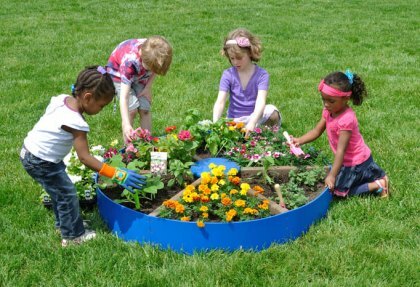 Gardening program: Children ages 3,4 and 5 will be involved in the gardening curriculum. The center will have a garden where the children will learn about gardening from preparing the ground for harvesting their vegetables. All classrooms will have a total of 60 minutes of scheduled physical activity in our gym or outside each day.